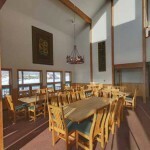 Lodges are multi-level complexes of lodge rooms with various meeting spaces and commons areas for its guests. Each room has its own private bath- but no kitchen- similar to a hotel room. Optional “all you can eat” buffet style meals (breakfast, lunch and dinner) are available to guests of Snow Mountain Ranch- just a short walking distance from any of the Lodges. Meal costs are additional to the festival package price and have some special conditions- but not required to be purchased by any group. The numerous amenities available to all guests of Snow Mountain include: indoor hot tubs, an Olympic size indoor pool, a huge indoor triple gymnasium with planned activities, laundry vending, hiking trails, and more! 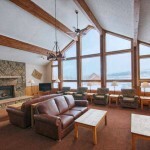 Groups choosing Snow Mountain Ranch can pick up their ski equipment rentals right at the Snow Mountain Ranch ski shop! Optional “All You Can Eat” buffet meals can be purchased at Snow Mountain Ranch for additional cost. Cabins are available for groups with the precise attendance numbers. These highly desired cabins can have 6 through 8 bedrooms and can sleep up to 40 guests each. 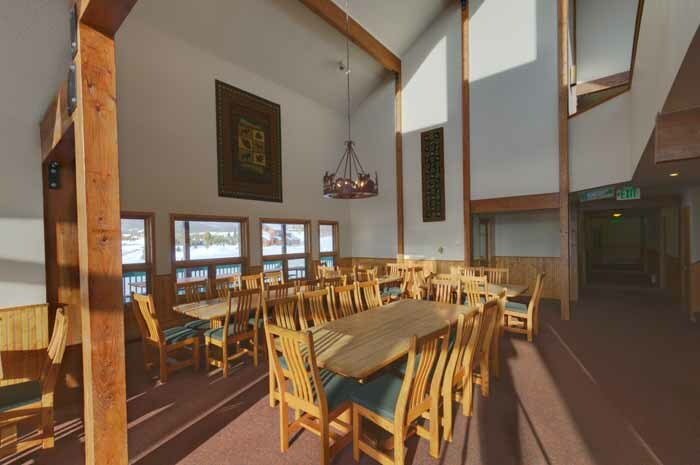 Many cabins are located in clusters to accommodate larger groups using multiple cabins. Cabins include living/ dining areas, covered porches, fireplaces, gas grills, WiFi, and full kitchens for your own meal preparation. 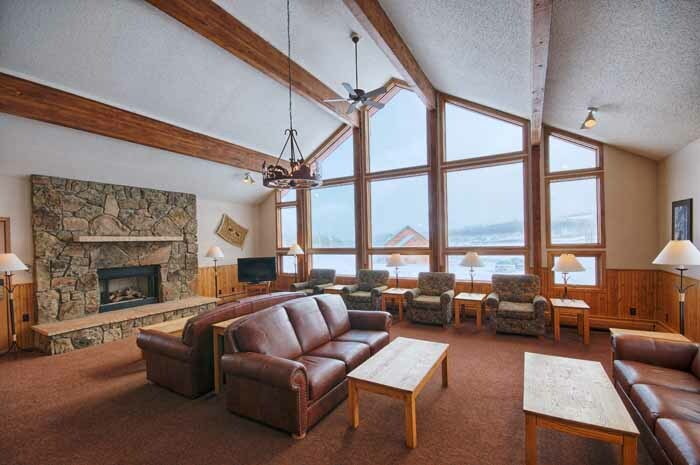 These cabins are located throughout Snow Mountain Ranch and provide guests with the same amenities as the Lodges- including indoor pool, gym, convenient ski rentals and the available meals plans. Most groups that choose cabins for their stay- will always request them again!